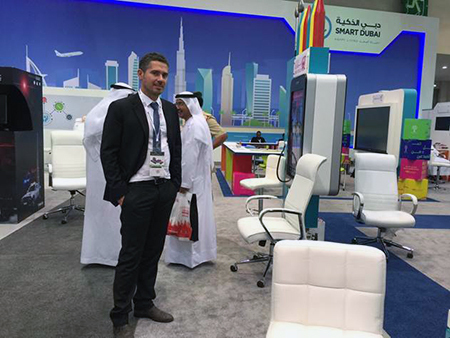 Compunetix Senior Sales Account Executive Antonio Capodieci recently returned from Dubai, UAE where he attended the GITEX 2016 Technology Week (http://www.gitex.com/welcome). GITEX, which hosted over 4,000 global technology leaders, 400+ startup organizations and 200+ global investors, was held at the Dubai World Trade Centre last week, October 16-20th, 2016. 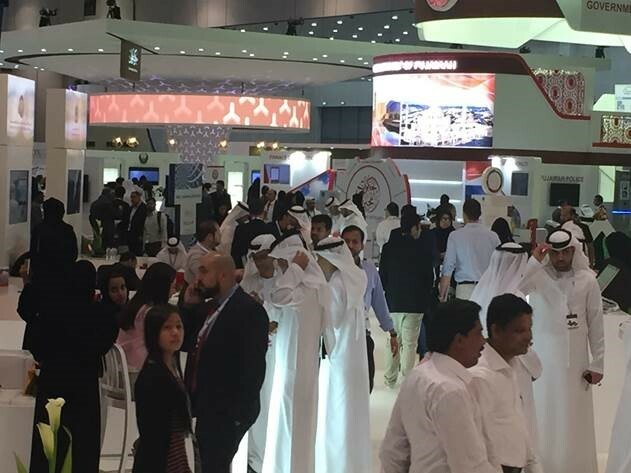 GITEX is one of the largest tech events on the planet, with nearly 150,000 participants over its 5-day run. The event is divided into technical areas with new sectors this year for virtual reality, augmented reality, artificial intelligence, wearables, smart living and digital marketing. “Compared to previous years, I saw tremendous focus on start-ups, smart city (http://www.smartdubai.ae) and verticals such as education, energy, finance, healthcare, ideation, innovation, disruption, Intelligent Cities, marketing, money, retail and strategy,” commented Mr. Capodieci. The focus of the government initiative “Smart Dubai” is to promote an increase in technology investment that can improve the efficiency of government and local organizations. Examples include Smart Government and Smart Health – two vertical areas that will also be stimulated via collaboration technologies. For additional information on Compunetix collaboration solutions uniquely crafted for you organization’s large event, mobile, audio/web, and videoconferencing needs, please visit our website at www.compunetix.com.